Mitsui & Co., Ltd and Behn Meyer AgriCare Holding (S) Pte. Ltd. have entered into an agreement concerning the establishment of a Singapore investment company, BMM Venture (S) Pte. Ltd. 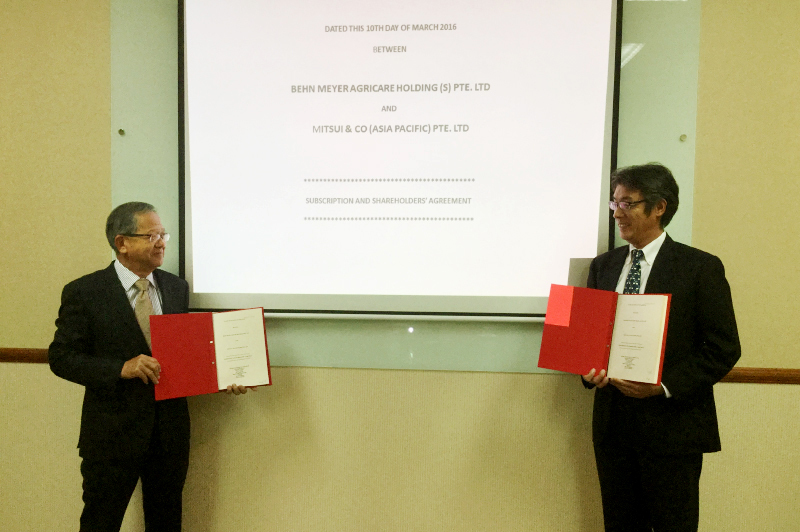 The agreement was signed at Behn Meyer Singapore’s office on 10th March and further strengthens the long-standing relationship between the two companies. 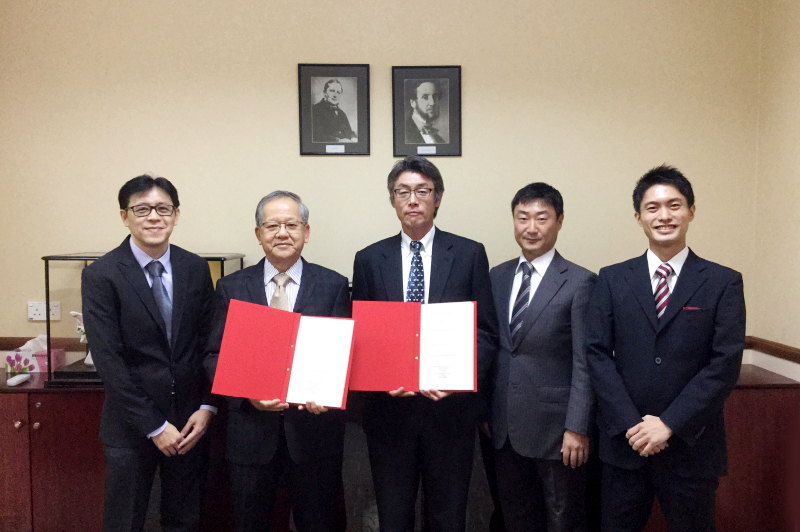 Mitsui will acquire a 49% equity stake in BMM Venture and Behn Meyer AgriCare Holding 51%. Both companies have also made an agreement through BMM Venture with their local partner, Myanmar Agribusiness Public Corporation (MAPCO), to establish Agri First Co., Ltd., which will distribute imported fertilizers in order to initially produce bulk blends in Myanmar as well as granulated NPKs in the future. Myanmar Agribusiness Public Corporation (MAPCO) was founded in 2012 and is a wholly owned business unit of the Myanmar Rice Federation (MRF) whose key role is to spearhead greater development and the modernization of rice cultivation in Myanmar. Agriculture accounts for 50% of the national GDP of Myanmar and employs about 70% of the workforce. Farmers in Myanmar still have one of the lowest per capita incomes in Asia but this can be improved through raising both output and productivity by modernizing the sector. The role of Behn Meyer AgriCare can therefore make a significant contribution to the socio-economic development of Myanmar.